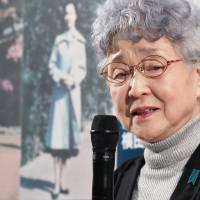 YOKOHAMA/NEW YORK - Sakie Yokota, the mother of Megumi Yokota — who was abducted by North Korea as a teenager — on Wednesday hailed U.S. President Donald Trump’s criticism of Pyongyang’s abduction of Japanese nationals in the 1970s and 1980s in his address to the U.N. General Assembly. “It was great that (the president) made mention of the reality of the situation of North Korea’s human rights violations,” the 81-year-old mother said after the speech. 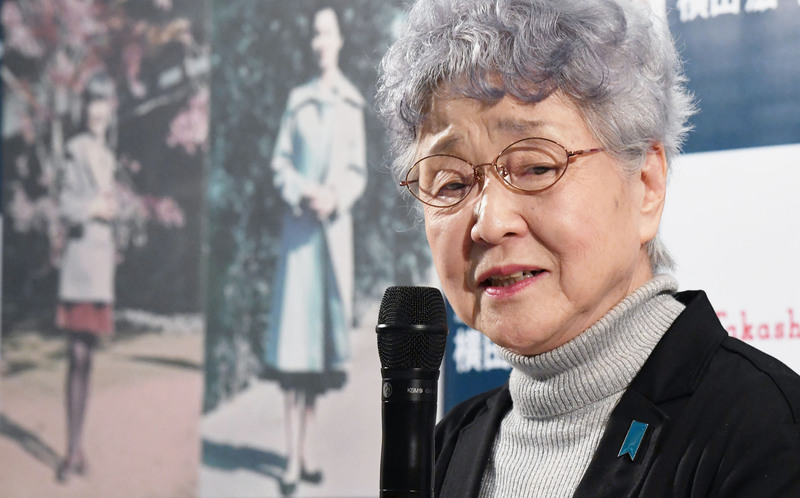 Her husband Shigeru Yokota, 84, said he hopes his daughter will return as soon as possible given that the parents are aging. In his speech, Trump condemned North Korea’s human rights record, which included a reference to Pyongyang’s abduction of Megumi Yokota, who was taken at age 13 from Niigata Prefecture while on her way home from school in 1977. 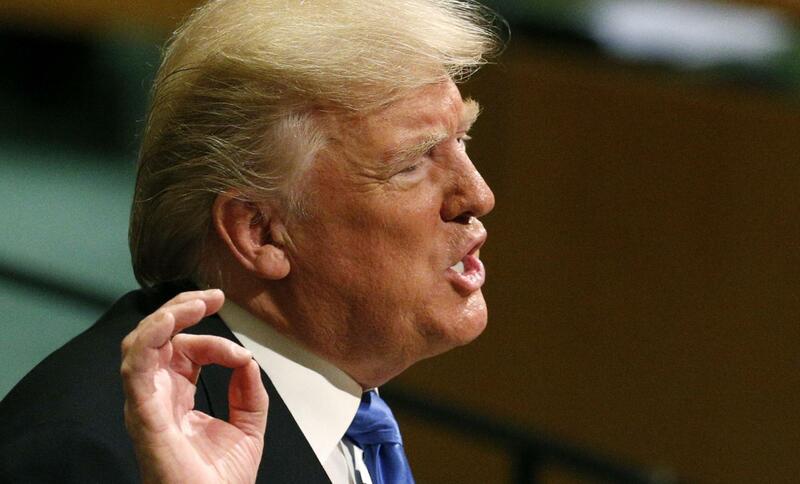 “We know it kidnapped a sweet 13-year-old Japanese girl from a beach in her own country to enslave her as a language tutor for North Korea’s spies,” the president said. Deputy Chief Cabinet Secretary Yasutoshi Nishimura welcomed Trump’s criticism, saying that the speech reflects “deeper understanding” in the United States about the abductions, a high-priority issue for Prime Minister Shinzo Abe’s government. “I think it means an understanding (about the issue) has gotten through” to the U.S. and other countries, Nishimura told journalists on the fringes of the annual gathering of world leaders in New York. Japan will continue to do its best to resolve the abduction issue while also addressing Pyongyang’s development of nuclear weapons and ballistic missiles, he said. 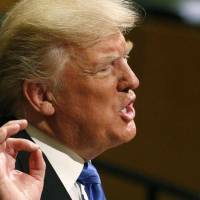 In Tokyo, Chief Cabinet Secretary Yoshihide Suga also praised Trump’s speech. Suga declined to comment on Trump’s threat to “totally destroy” North Korea if the U.S. is forced to defend itself or its allies. But he reiterated Tokyo’s support for Washington’s claim that “all options are on the table,” presumably including a military attack. During a meeting last week in Washington, Matt Pottinger, senior director for Asia at the U.S. National Security Council, told Takuya Yokota, a brother of Megumi, that Trump is familiar with the abduction issue — including the case of Megumi — because Abe briefed the president during talks. According to Eriko Yamatani, a former minister in charge of the abduction issue who joined the Yokota-Pottinger meeting, Pottinger said Trump had instructed him to study North Korea’s human rights violations. Pottinger was quoted by Yamatani as saying that the Trump administration would like to take into account the abduction issue when discussing the potential relisting of North Korea as a state sponsor of terrorism. Japan officially lists 17 citizens as abduction victims and suspects North Korea’s involvement in many more disappearances. While five of the 17 were repatriated in 2002, Pyongyang maintains that eight — including Megumi Yokota — have died, and that the other four never entered the country, including the mother of one of the five who returned to Japan.